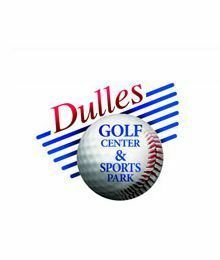 We have continued our Dulles Golf Club, where Erange Key purchasers and Golf Academy students receive discounts on merchandise, lessons, and at partner golf facilities, businesses, and restaurants. Our more popular promotional events are our Father’s Day and Mother’s Day offering free buckets of balls, rounds of mini golf, and batting cage tokens to moms and dads on those days. Our Golf Professionals are here during that time on the tee line offering swing tips and interacting with the customers. We provide Family Fun Day Certificates and Savings Books as donations, silent auction items as fundraiser for schools and local charities. We continue to offer everyone the opportunity to host a fundraising event at Dulles Golf Center where 30-50% of all proceeds go directly to the charity or school PTA. We also donated a % of our revenues throughout an entire month to the Children’s Inn at NIH and American Red Cross, which benefited the victims of Hurricane Harvey. We hosted a huge charity event for American Cancer Society in August and raised money. In October we are hosting a mini golf tournament and all proceeds go to a local charity.